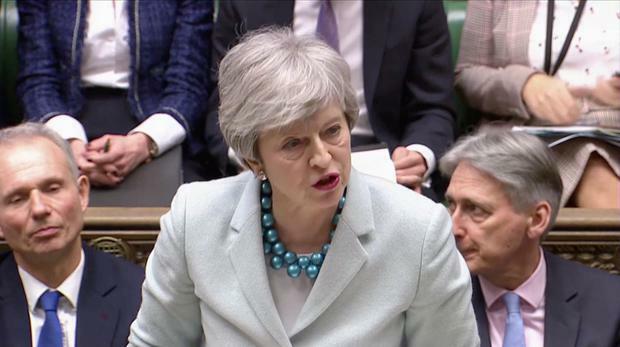 British Prime Minister Theresa May has said there was not yet enough support for her to put her Brexit deal to a vote in parliament for a third time, but she would continue with talks with lawmakers to try to get their backing. Mrs May said on Monday that parliament would debate secondary legislation on Wednesday to formally change the date of Brexit in British law. "I continue to believe that the right path forward is for the United Kingdom to leave the EU as soon as possible with a deal, now on May 22," she told the House of Commons on Monday afternoon. "But it is with great regret that I have had to conclude that as things stand there is still not sufficient support in the House (of Commons) to bring back the deal for a third meaningful vote." Britain was due to leave the European Union on March 29, but May agreed with the bloc's leaders last week to delay that date to May 22 if her Brexit agreement is approved by parliament this week, or to April 12 if it is not. May earlier told parliament the exit date had already been changed in international law and so if parliament did not pass this legislation it would "cause legal confusion and damaging uncertainty" but would not impact the date of Brexit. Mrs May said it was important that the parliament abides by the 2016 referendum result, rather than talking about holding a second referendum. She added that over time they would be able to address issues of a 'No-Deal', but that there would be an immediate impact on the economy. Earlier, the EU warned that checks on goods entering Ireland from the UK will have to be "immediately" applied in the event of a no-deal Brexit. The stark statement was made as the European Commission said it is “increasingly likely” that the UK will crash out of the Union on 12 April. The commentary will raise massive fears for businesses on this island - but Taoiseach Leo Varadkar refused to engage with reporters on the issue while attending an event in Dublin this afternoon. He claimed to be “still confident” that embattled Mrs May will get her Withdrawal Agreement through the House of Commons. Shortly after that expression of confidence, the DUP, who are central to approving the deal, said their opposition to the backstop is unwavering - and Mrs May has since admitted she doesn't have the support required. The European Commission has today completed its no deal preparations. They noted that the UK will become a third country without any transitionary arrangements unless the current course of events is altered. In that scenario all EU primary and secondary law will cease to apply to the UK from that moment onwards. "This will obviously cause significant disruption for citizens and businesses,” the Commission said. Without a deal, the UK's relations with the EU would be governed by general international public law, including rules of the World Trade Organisation. "Despite the considerable preparations of the Member States' customs authorities, these controls could cause significant delays at the border,” the Commission note said. One EU official in Brussels told reporters that controls will have to be done on the island of Ireland “but doesn't mean we'd want to see visible infrastructure”. "We're working very closely with Irish authorities to try and perform controls away from border if at all possible,” they said. The EU statement comes just a day after Mr Varadkar claimed proposals for what would happen in a no-deal scenario were “very rough”. Today he said Ireland is “intensifying our no-deal preparations”. 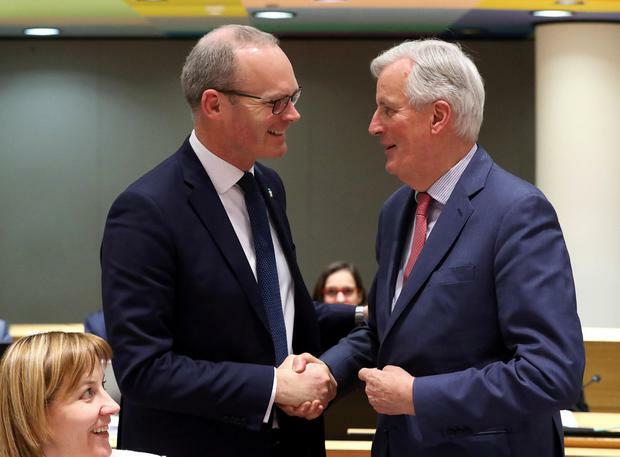 Earlier Tánaiste Simon Coveney rejected suggestions that protecting the EU Single Market and avoiding a hard border were now mutually incompatible given the UK stance. "No, they are not. The way in which we do this we have worked through over the last three years and we’ve come up with a mechanism to do it – it’s called the 'Back-Stop' in relation to a fall back insurance mechanism in the absence of other ways of doing it that are agreed by all sides. "In a no-deal scenario, the British Government have made it clear in their paper that they published the week before last that the British Government, the Irish Government and the European Commission will need to work closely together,” he said. The Cork TD stressed that German Chancellor Angela Merkel has been consistent with her position throughout the Brexit process. "What Chancellor Merkel said is that we need to make sure that the twin responsibilities that we have, protecting the Single Market and ensuring that there isn’t the re-emergence of a physical border between the two jurisdictions on the island of Ireland, to make sure that we can do that so we would welcome her intervention which is about ensuring that there are practical arrangements in place that fulfil both of those commitments and that is what she said." Mr Coveney added that the onus is now on everyone involved in the Brexit process, but most especially on the UK, to ensure a compromise agreement is achieved.